Thanks to the iPhone 6, the iPad Air 2, the iPad mini 3, OS X Yosemite, and iOS 8, 2014 was a major year for Apple. The iPhone 6 and 6 Plus brought new screen sizes and a radical redesign, while iOS 8 and OS X Yosemite introduced deep integration between Apple's mobile and desktop operating systems. The past year has seen an impressive display of innovation and new ideas, but upcoming product releases and rumors suggest that 2015 may be an even more monumental year for Apple. Along with the Apple Watch, which Apple has said will launch in early 2015, we will likely see major updates across the Mac lineup due to the availability of Intel's next-generation Broadwell chips. An Apple TV update has long been in the works and could see a 2015 debut, and as it has done every year, Apple will undoubtedly update its iPad and iPhone lineup, along with releasing new versions of iOS and OS X. As we did last year, we've highlighted Apple's prospective 2015 product plans, outlining what we might see from Apple over the course of the next 12 months based on current rumors. Announced in September of 2014, the Apple Watch (or Watch) is Apple's first wearable device and one of the first Apple products that may launch during 2015. Available in two sizes of 38mm and 42mm, the Apple Watch has a heavy focus on fashion and will be offered in six different casing materials with a range of interchangeable band options. The Apple Watch is an amazing design feat, with a tiny S1 processor that integrates several different components onto one tiny chip, including a gyroscope, accelerometer, and a heart rate monitor. It has a unique haptic feedback system for relaying notifications, and it uses Force Touch to allow for a new range of contextually specific controls. Apple's wearable device is not a standalone device and is in fact heavily reliant on the iPhone. Many apps are powered entirely by the iPhone in order to preserve battery, and the watch relies on the iPhone for functions like GPS and relaying notifications. We have a detailed roundup that covers all of the Apple Watch features, but there are many unknowns about the device that won't be revealed until its release. Pricing, for one, is ambiguous. Apple has said the lower-end Sport models will sell for $349, but the price of the higher-end models has yet to be shared. Speculation has suggested that the solid gold Edition watches could sell for upwards of a thousand dollars. The other major unknown about the Apple Watch is its battery life, but it seems that it will need to be charged on a near daily basis. According to Apple CEO Tim Cook, people will use the device so much that it will need to be charged each day, much like other smart watches on the market. We don't know when the Apple Watch will be released, but at its debut, Apple said the device would launch in "early 2015." Subsequent comments from retail chief Angela Ahrendts have hinted at a spring release, indicating a launch could come between March and June of 2015. Other rumors have corroborated her timeline, with Apple employees reportedly commenting that Apple would be "lucky" to ship the device in February. The major iPad product that could come in 2015 is the iPad Pro, a 12.2 to 12.9-inch tablet that may be aimed at enterprise customers. Rumors have failed to come to a solid conclusion on screen size, suggesting Apple could be experimenting with multiple sizes for the larger tablet, but they seem to agree that a bigger device is definitely in the works. Apple's rumored larger-screened tablet has been dubbed the "iPad Pro" by the media, but a recent rumor has suggested it could also be called the "iPad Air Plus." Rumors on the iPad Pro are somewhat scarce, but it's believed the tablet will closely resemble the iPad Air 2, offering a thin chassis and slim bezels. It may measure in at 7mm and it will likely include several iPad Air 2 features like 2GB of RAM, Touch ID, and 802.11ac Wi-Fi. Rumors have disagreed on the device's processor, with some pointing towards an A8X iPad Air 2 processor and others suggesting the "Pro" device will come equipped with a new A9 processor. Apple's iPad Pro may also ship with an "ultra" high-resolution display and speakers and microphones and both the top and bottom edges of the device for stereo audio. iPad updates have traditionally come in the fall, but with a new tablet in the mix, a launch date is up in the air. Current rumors indicate mass production of the iPad Pro has been delayed in order to allow Apple suppliers to focus on building up supply of the iPhone 6 Plus, but a recent report suggests it could launch between April and June of 2015. Apple has upgraded its iPad lineup on a yearly basis, so it's likely the iPad Air 2 will get a minor processor update. The iPad mini 2 only received a slight upgrade in 2014 -- the addition of Touch ID with no new processor -- so Apple's smaller tablet may see a more significant update in 2015. One rumor has already said an iPad mini 4 is in the works with an A8X processor and a thinner iPad Air 2-style design. There's a slim possibility that the iPad mini might be discontinued, according to a sketchy rumor out of the Asian supply chain. That source suggests development on the iPad mini could cease in order for Apple to focus its resources on the iPad Pro, but it's too early to give that rumor much credence. Click to read the full iPad Air roundup. Click to read the full iPad mini roundup. Since its 2007 debut, Apple has introduced a new iPhone each and every year, so it's safe to say we will be seeing updated iPhones in 2015. It's not clear what Apple will call the new phones, but based on past naming schemes, iPhone 6s and iPhone 6s Plus are likely candidates. We know very little about the new iPhones at this early stage, but given the recent form factor redesign, as an "S" year upgrade, we can assume the next-generation phones will retain the same design as the existing iPhone 6 and 6 Plus. The success of a dual-sized iPhone lineup suggests that Apple will continue to offer phones with different screen sizes. Existing iPhone 6 and iPhone 6 Plus. Next year's devices are likely to use the same design. Rumors have suggested that this year, like many "S" year upgrades, will see a significant camera improvement that could be Apple's "biggest camera jump ever." Apple may be exploring a dual-lens camera that would use two separate lenses to greatly improve image quality. Along with a camera update, there have been some whispers that Apple will use sapphire displays produced by Foxconn for the next-generation iPhone. It's likely we can count on upgraded A9 processors and improved battery life as well. Both a questionable rumor from the Asian supply chain and an analyst prediction have suggested Apple will introduce a new 4-inch iPhone in 2015 alongside new larger-screened 4.7 and 5.5-inch devices, but at this time, the validity of the claim cannot be confirmed. It is more likely that Apple will do away with the iPhone 5c in 2015, continuing to offer the 4-inch iPhone 5s alongside an iPhone 6s and an iPhone 6s Plus. A minor redesign of the iPhone 5s is not out of the question, however, as Apple did introduce a redesigned older-model iPhone 5 (the iPhone 5c) alongside the flagship iPhone 5s in 2013. 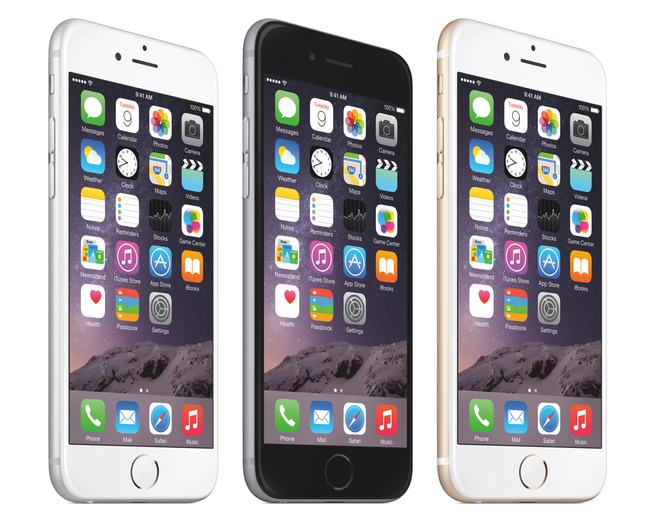 Click to read the full iPhone 6s roundup. Intel's 14-nanometer Broadwell chips were initially supposed to launch ahead of 2014, but saw significant delays due to manufacturing problems. The delays have likely impacted Apple's own upgrade plans, but as the chips began to ship to manufacturers across late 2014 and will continue to do so into 2015, Apple will finally be able to bring Broadwell upgrades to its Mac lineup. Broadwell chips are the successor to Intel's Haswell chips and are said to be 30 percent faster and more power efficient, offering significant increases in battery life and performance. The most highly anticipated Mac update is undoubtedly the ultra-slim 12-inch Retina MacBook that's been the star of many rumors across 2014. Said to use a low-power Core M Broadwell processor that enables a fanless design, the 12-inch MacBook may eventually replace the MacBook Air, much like the Retina MacBook Pro replaced the standard MacBook Pro. According to rumors, the 12-inch MacBook, which may come in iPhone-style colors, combines the portability of the 11-inch MacBook Air with the productivity of the larger-screened 13-inch MacBook Air. It has an all new design with slimmer bezels and it is thinner than the existing MacBook Air, thanks to its lack of a fan and a trackpad redesign that eliminates a mechanical button. A release date for the 12-inch MacBook is unclear, but rumors have suggested Apple is ramping up production of the device in January in preparation for a mid-2015 launch date. Click here to read the full 12-inch MacBook roundup. Aside from the 12-inch MacBook, rumors about Mac updates have been scarce, likely due to the Broadwell delays. Apple's Retina MacBook Pro received a minor Haswell processor update on July 29, but is due for a major processor upgrade once Broadwell chips for the device begin shipping in mid-2015. Because the Retina MacBook Pro's design has remained unchanged since its 2012 introduction, 2015 may be the year that it sees a refreshed look along with a major processor boost. Since Broadwell chips suitable for use in the Retina MacBook Pro will not be available until the middle of 2015, it is unlikely an update will come before the summer or fall of 2015. Click here to read the full Retina MacBook Pro roundup. 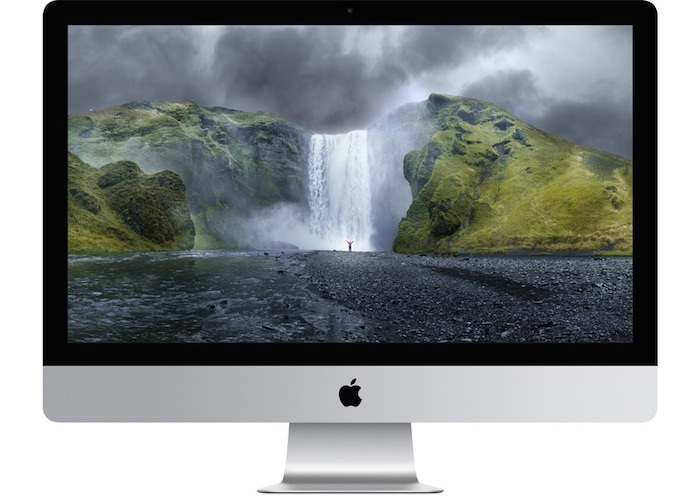 Apple introduced the 27-inch Retina iMac in 2014, but its 21-inch models have remained untouched. It's likely that we will see both a refreshed 27-inch Retina iMac with a Broadwell processor in 2015, as well as 21-inch Retina models. As with the Retina MacBook Pro, chips suitable for the iMac are not launching until mid-2015, pointing towards a fall release for new iMacs. Click here to read the full iMac roundup. Apple's Mac Pro was launched in late 2013, and because it saw no updates in 2014, it's ripe for a refresh in 2015. There have been no rumors hinting at a Mac Pro upgrade, but in the past, Apple upgraded the professional-oriented desktop in 2006, 2008, 2009, 2010, and 2012, sticking to an every-other-year upgrade pattern at times. An upgraded Mac Pro will likely continue to use the same general design with improved internals, possibly utilizing Intel's next-generation "Grantley" Xeon E5 v3 processors and new AMD FirePro graphics cards. Both the new Xeon chips and the upgraded FirePro cards are already shipping to manufacturers, suggesting that an upgrade could come at any point in 2015. Click here to read the full Mac Pro roundup. Apple hasn't paid much attention to the affordable, compact Mac mini, but the device was updated with Haswell processors, 802.11ac Wi-Fi, Thunderbolt 2, and more in October of 2014. Widely regarded as something of a downgrade due to its lack of upgradeability, the 2014 Mac mini is unlikely to see an update in 2015 based on Apple's disinterest in the desktop computer. In the past, the Mac mini saw upgrades in 2006, 2007, 2009, 2010, 2011, and 2012 before going sans upgrade for two years after a late 2012 update. Click here to read the full Mac mini roundup. The existing Apple TV has not seen a significant update since March of 2012, which means it's long overdue for a refresh. 2013 rumors were torn between an upgraded box and a full blown television set, but in 2014, it became clear that the next-generation Apple TV is likely to be a revamped set-top box that incorporates features like game support, a full App Store, Siri, and some kind of reimagined television service. Early 2014 rumors pointed towards a 2014 launch for the redesigned set-top box with a full App Store and support for games on the device, but the update never materialized. It's possible a new Apple TV has been held up by content deals, which Apple has struggled with for years now. Apple initially imagined a television service that offered a la carte cable channels and cloud-based DVR functionality, but the company has reportedly had to scale back on its television ambitions due to uncooperative cable companies that are reluctant to change the status quo. The most recent content-based Apple TV rumors from February of 2014 suggested Apple is now aiming to provide content from existing cable companies overlaid with an Apple TV-style interface, along with modest DVRing capabilities. Apple TV rumors have died down significantly in recent months due to Apple's focus on the iPhone 6 and the Apple Watch, so it remains entirely unclear when we might see a new Apple TV product, aside from a vague "2015" prediction from The Information in July of 2014. In May of 2014, iTunes chief Eddy Cue confirmed that Apple was still working on a way to improve television, but that a fix is "complicated." Click here to read the full Apple TV roundup. As with the iPhone and the iPad, Apple releases new versions of iOS and OS X on a yearly basis. We don't know much about OS X 10.11 or iOS 9 at this early date, aside from the fact that the two operating systems are in development. With iOS 8, Apple intended to introduce features like improved transit and indoor mapping features for the Maps app and split-screen multitasking for the iPad. If these options don't make it into an upcoming iOS 8 update, they could potentially be bundled into iOS 9. iOS 8 featured few visual changes, so iOS 9 could introduce both new features and some design updates to further refine the look unveiled with iOS 7. Bugs, bugs, and more bugs. I seriously hope Apple slows down on the yearly IOS and Mac OS upgrades, and instead focuses on all the bugginess and complexity of current software. The company is seriously jeopardizing the "It Just Works" quality of (former) Apple products, and once that public trust is lost, it takes a lot to get back. Was this reporter being sarcastic? The only thing of any relevance Apple released this year was the iPhone 6 and maaaaybe Yosemite if you want to be very generous. 2014 was a very, very, very poor year from an innovation standpoint. A utopia where software and technology doesn't have bugs will never exist, so stop dreaming of one. What if the iPad pro and the new 12inch Macbook are the same thing? Please, fix iOS in 2015. And iCloud... it's stuffing my devices. Was'nt iCloud supposed to do the opposite? I'm completely fine with bugs. Bugs, bugs is tolerable. Bugs, bugs, and more bugs is what the problem is, especially considering that neither iOS 8 nor Yosemite was a major overhaul. I don't think anyone expects there to never be any bugs anywhere. For me at least, it's the introduction of bugs on things that used to work before that is frustrating and unacceptable. When you are adding new features, it shouldn't break or make worse (for a lot of users at least) as many things that used to work fine, especially in OSes that are as mature as iOS and Yosemite. Us: No, you MUST increase battery life!